Mark Altaweel discusses the growth and direction of open source GIS tools and software in this opinion piece. 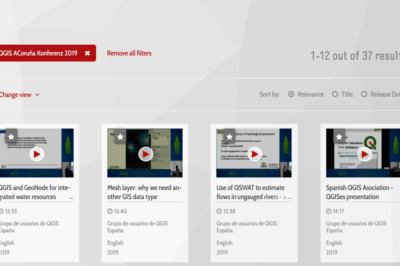 Currently, several platforms, including QGIS (formerly Quantum GIS), gvSIG, and Geographic Resources Analysis Support System (GRASS), dominate the open source community. Others, such as MapTools, TerraView, SAGA, Geoserver, and Whitebox have relatively small, niche communities, often university scholars or students, or have now become even outdated. Perhaps the tool that has gained largest traction in recent years is QGIS due to its relatively easy to use user interface coupled with a wide user and developer community. Numerous plugins exist in QGIS that allow it to integrate other common tools, such as R and Google Earth. What is less easy to predict is the future of open source GIS. For instance, will it be possible for any tool to threaten major commercial platforms such as Esri’s ArcGIS? Most likely, ArcGIS, if it has not already, has felt greater pressure from the open source community to develop its product. Until recently, few open source tools had easy to use user interfaces, giving ArcGIS a clear advantage. However, QGIS, which has been around since 2002, has worked to improve this, where now software developers with more user interface backgrounds have actively contributed to the project, making its interface much more similar to ArcGIS and relatively easy to use. The range of algorithms has been more limited in open source tools compared to ArcGIS, such as network and 3D analyses, but this is also now changing. 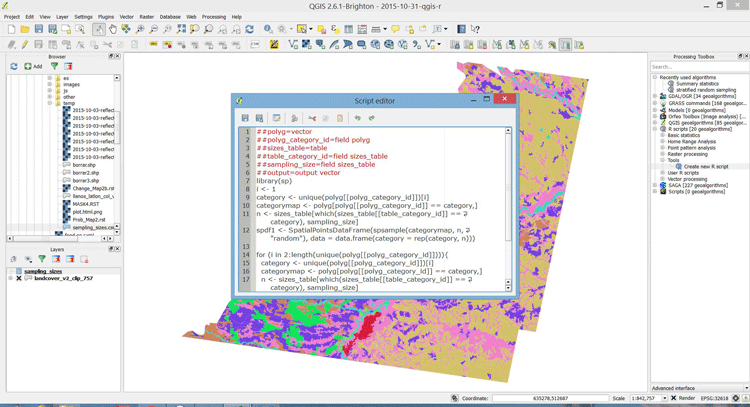 Tools such as GRASS and QGIS are also very good with the types of data they can import and utilize, giving them good flexibility with different types of data. While most open source tools have been utilized for land use or landscape level studies, new tools now even allow qualitative and other less traditional areas of GIS to be more utilized. In order for open source tools such as QGIS or GRASS to develop even more, and even surpass commercial heavyweights such as ArcGIS, the most likely route to this is increasing open source tools’ ability to work well with other free and open source tools. For instance, rather than building new network tools, existing tools could be integrated via plugins. The merger of user communities, such as what happened between R and QGIS and MySQL with QGIS, is most likely the best way forward for these tools to increase their user communities. Tools such as GRASS have been relatively slower to develop this, in comparison to QGIS, but this is because QGIS now has a much larger user and developer community. In fact, the other lesson offered by QGIS is that it integrates an existing easy to use programming language, namely Python, which allows it to have a wider user base, while many of the software’s functions require no programming. What this signifies is that as tools develop increasing power and capability, a key aspect will also be still maintaining a way to easily use open source tools so that users are not intimidated by any learning curve. 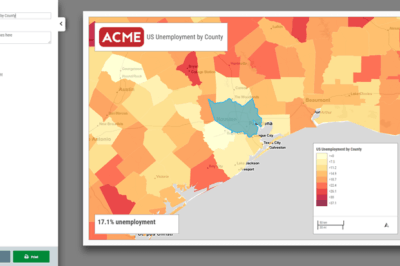 The power of ArcGIS has been that it is relatively easy to use. However, its drawbacks are it has not changed as significantly as other open source tools have. Nevertheless, historically, it has proven so popular that many new students to GIS do not bother to study courses in GIS and simply use ArcGIS because it has helpful instructions to many of its functions, while allowing easy point and click functionality. The open source community in GIS has picked up on this, while in the past open source tools were often the privy of people with more programming experience. The future of open source GIS is likely to be bright, particularly as it has been developing relatively rapidly in the last few years. The trend of increasing users seems evident, although hard data are not available. However, anecdotally and looking at the number of software help posts and user sites for open source tools does suggest that the open source community has been substantially increasing over the past decade. Now that many open source software contributors are not simply interested in geographical analysis functionality, but also in integrating plugins and improving user interface experience, this will now likely have a positive outcome for open source GIS tools. In particular, QGIS is perhaps the best tool positioned to benefit in the immediate future, although predicting which tools beyond the next five years will be dominant is difficult. For more on a list of open source GIS tools, see: Maurya, S.P., and Mishra, S. (2015) Open Source GIS: A Review. In: OSGIS-2015: Proceedings of the National Conference on Open Source GIS: Opportunities and Challenges. Department of Civil Engineering, Indian Institute of Technology. (Banaras Hindu University), Varanasi, pp. 150-155. For more on QGIS and its most recent version (2.18), see: http://www.qgis.org/en/site/. For an example of qualitative GIS and open source tools, see: Garnett, R. & Kanaroglou, P. (2016) Qualitative GIS: An Open Framework Using SpatiaLite and Open Source GIS. Transactions in GIS. [Online] 20 (1), 144–159. For more on ArcGIS functionality, see: Law, M. & Collins, A. 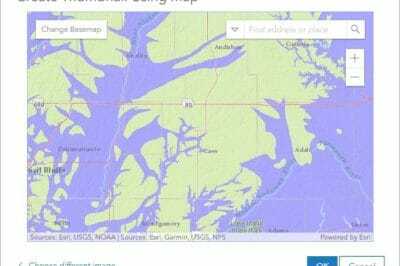 (2015) Getting to know ArcGIS: [for ArcGIS 10.2 and 10.3]. 4th ed. Redlands, Calif, Esri Press. While hard data on user communities for open source GIS tools are difficult to obtain, one can use recent activity in user communities as a proxy for generally increasing numbers of users, such as this site: http://qgis.uk/.